Several weeks ago we were driving through the Baraboo Hills on highway 12. 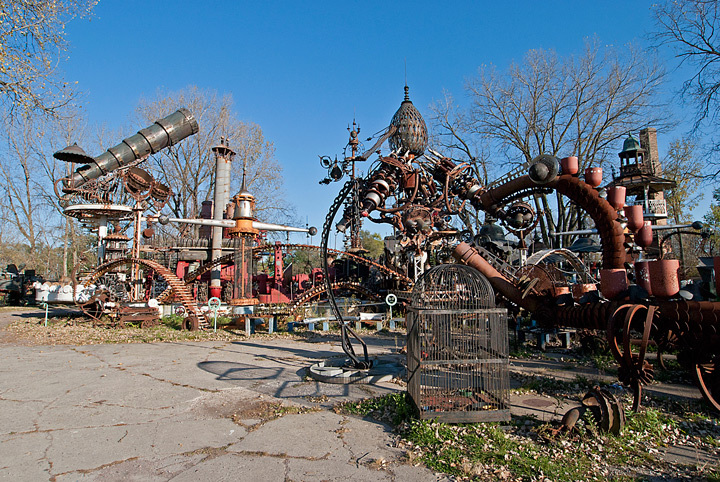 As we passed Dr. Evermore”s Art Park I noticed that there were cars parked at the the entrance. As I noted in an earlier blog the Art Park has not been open much recently so we quickly pulled in to see if it was open. It was open. Note that the hours listed on their website are not necessarily the hours they are open. 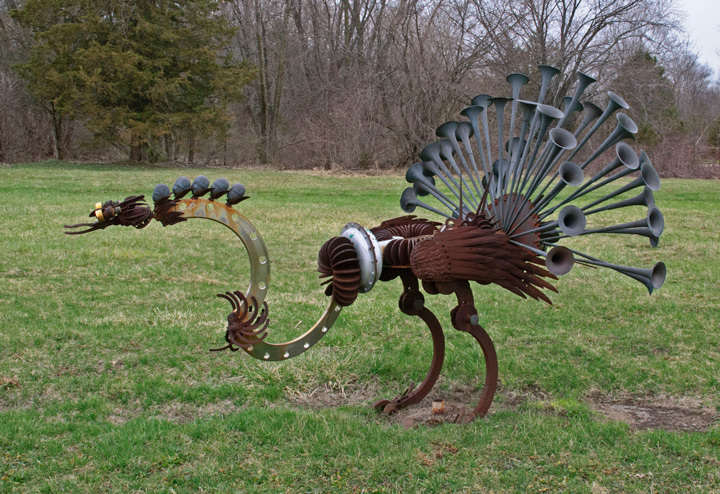 The park is a fascinating place with hundreds of metal sculptures of all shapes and sizes. 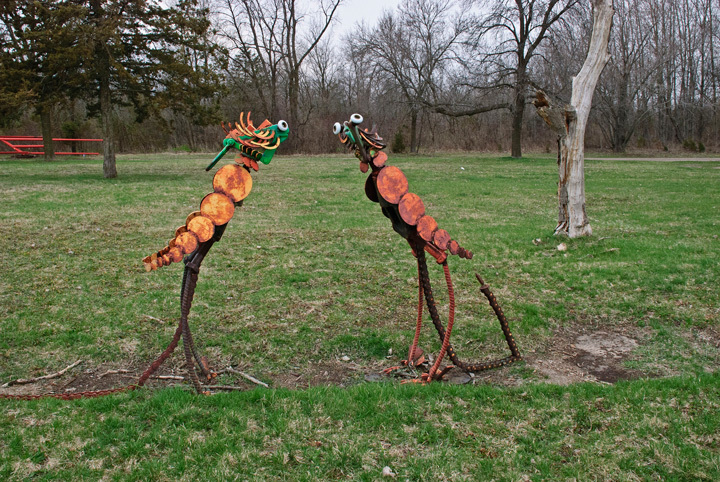 In talking with one of Evermore’s children she mentioned that the family is attempting to organize the sculptures and hope to bring in other artists to share their work at an enlarged art park. 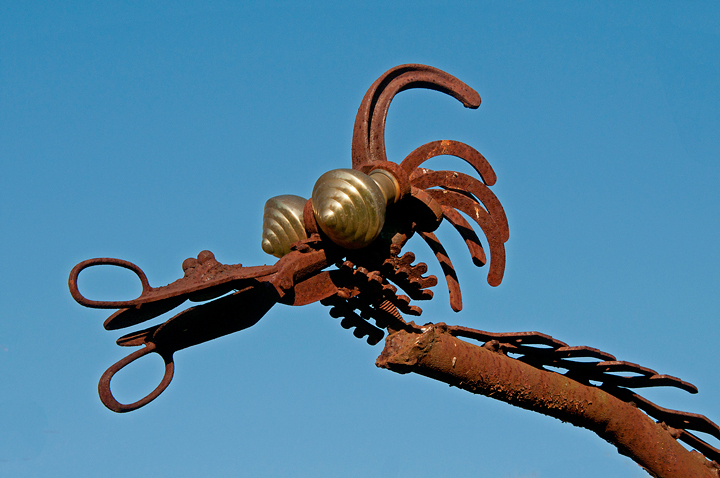 This is a good thing because there was concern that the extensive collection of metal sculpture would not be saved. This is a very difficult place to photograph because there is so much to see in a small area. I tried to capture some of the detail with the sky as a backdrop as well as get take some general photographs to show the scale of the park. It was late in the day so we weren’t able to spend as much time as we would have liked. You could spend days looking at all of the art on display. I have driven past Tom Every’s (A.K.A. 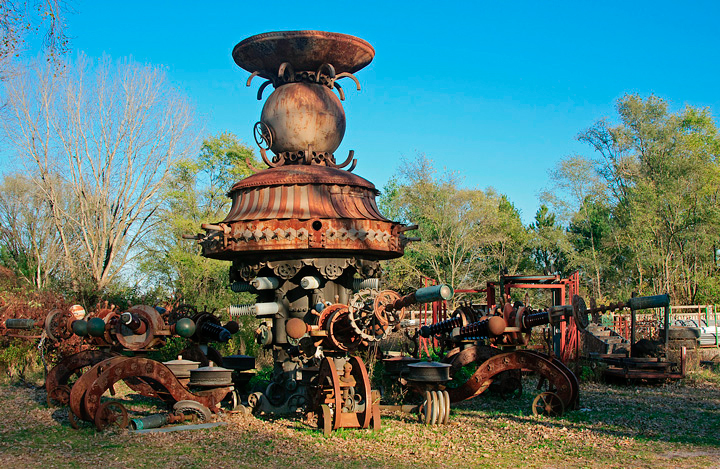 Dr Evermor) Art Studio just off highway 12 between Baraboo, Wisconsin and Sauk City, Wisconsin probably a 100 times but never bothered to stop. 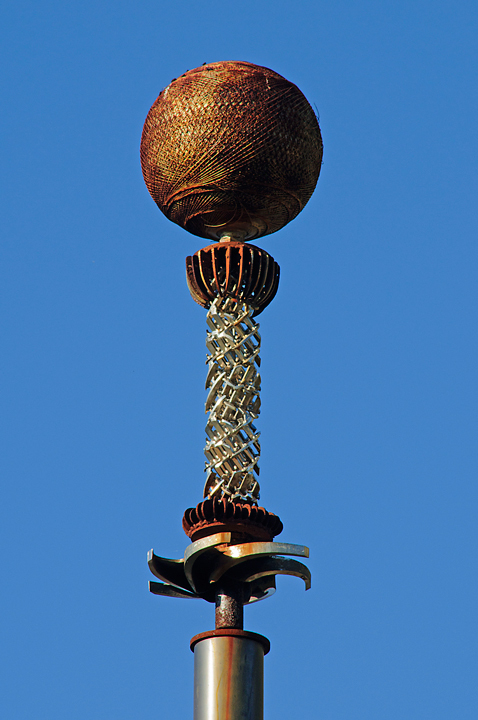 An article, on Wisconsin folk art, in the most recent edition of Wisconsin Trails peaked my interest. I was in the area a couple of weeks ago. The weather was miserable and I had some time on my hands so I decided to stop. The site is located across from the old Badger Ordinance Plant on the Delaney’s Surplus property. The weather was so bad I just stayed for a short time and took a few photos of some of the art displayed along the road. I hope to stop back at some point and photograph more of the over 200 items on display. The sign at the gate indicates that the studio is open daily but in talking to a local sheriffs office she indicated that it was closed most of the time. If you are ever in the area and it is open do stop in it is worth the stop.